The book is at the printer! CHOOSE! 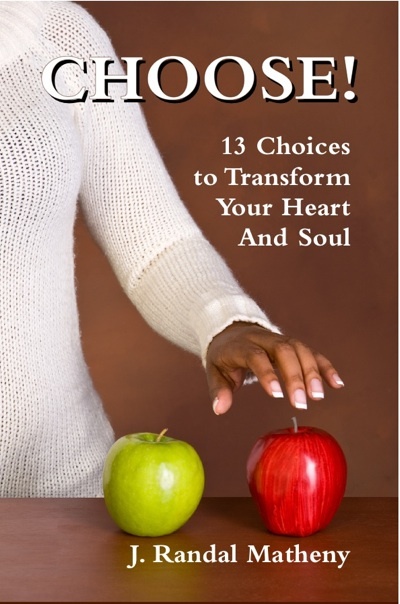 13 Choices to Transform Your Heart and Soul will be ready for mailing next month! If you order before May 15, we’ll give you over 15% off the cover price — for just $8.50 plus shipping and handling ($3.25). The book is due from the printer in mid-May, so be sure to get the first copies as they come off the truck. To order, send a check made out to Forthright Press LLC for $11.75, to 607 Devine St., Winona, MS 38967. This entry was posted in Books and tagged Books, prepub offers, releases on 2010-04-15 by J. Randal Matheny.